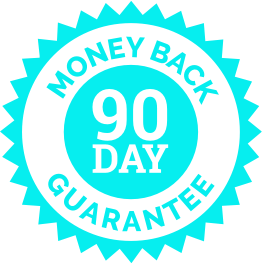 If you aren’t 100% satisfied with your purchase of MasterWriter, let us know within 90 days and we’ll give you your money back. Our mission is to make you a better songwriter. We’re confident MasterWriter will help. But if it doesn’t, then you shouldn’t be charged for it. Simple as that!